A SIM holds valuable information about your phone and also can help you backup your files from phone like contacts and text messages. Deleted contacts by mistake? Removed text messages and want to get them back? Actually, you can recover SIM card data from iPhone easily. Read this article to learn how to. To get back the lost data from SIM card before they have been overwritten, you'd better choose a professional SIM Card Data Recovery tool. 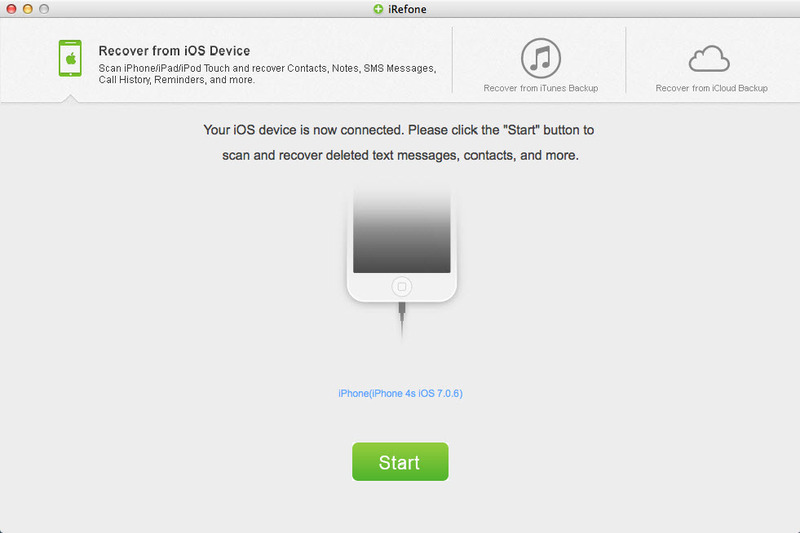 Here iRefone for Mac is the best choice. It is specially designed to recover deleted text messages, call history and other data from SIM card on iPhone resulting from unintentional actions or misoperations. What's more, it also supports recovering other data like voice memos, photos, calendars, notes, etc from iPad, iPhone, iPod touch. Besides, it can also extract and restore lost data from iTunes or iCloud backup selectively without erasing any data from your iPhone. 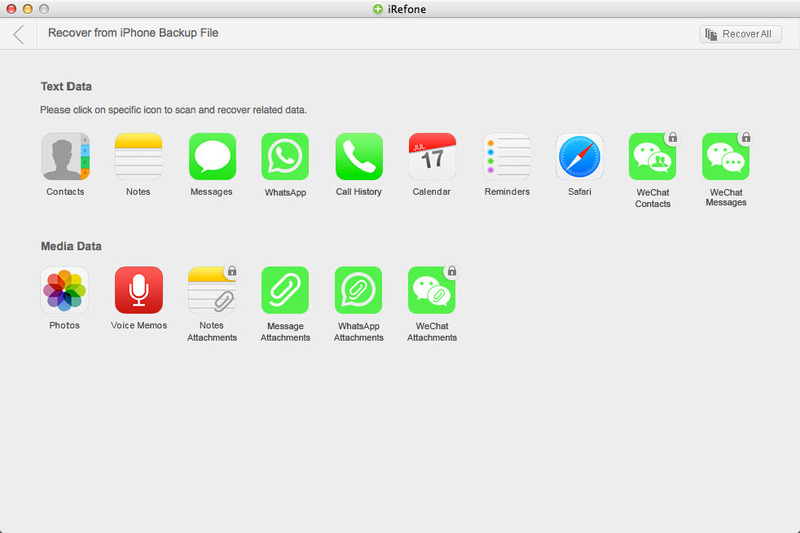 And there is an equivalent version for Windows users, iRefone to aid you to restore SIM card data from iPhone(iPhone 6s/6s plus/6/6 plus/5s/5/4s) on Windows. Launch the program and connect your iPhone to your computer. When the program recognizes your iPhone, you'll see the window as follows. Click on the "Start" button to access the data in your iPhone. 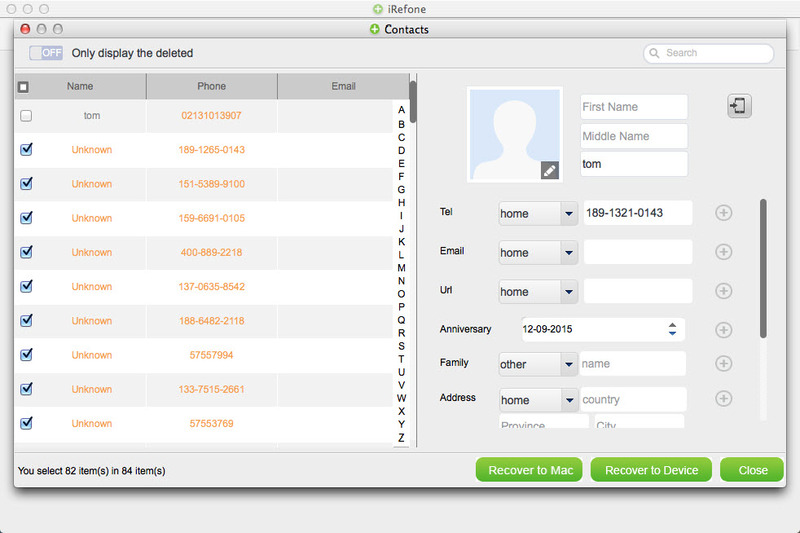 All found contacts, messages, call history and other information will be shown in the clear categories. 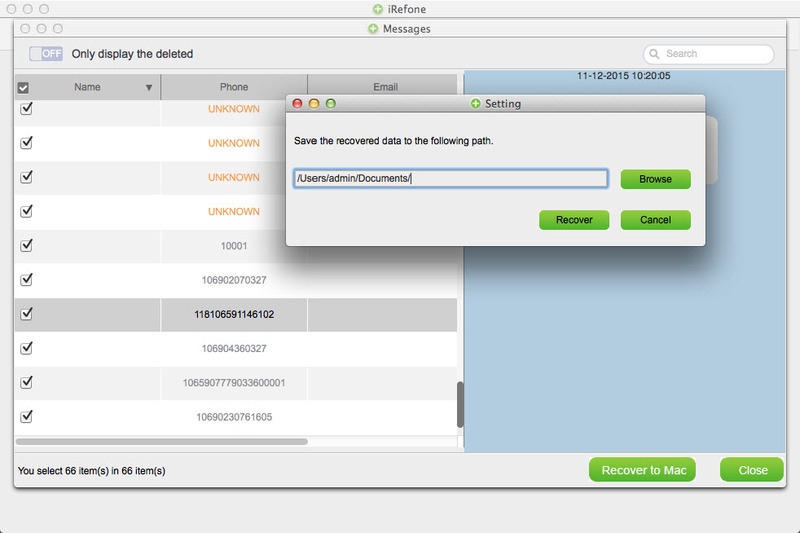 To recover found SIM card data, go to the category you want like contacts, message. After the scanning, you can preview the lost data you've selected. Then click the "Recover to Mac" button to get them back on your computer. Step 1. 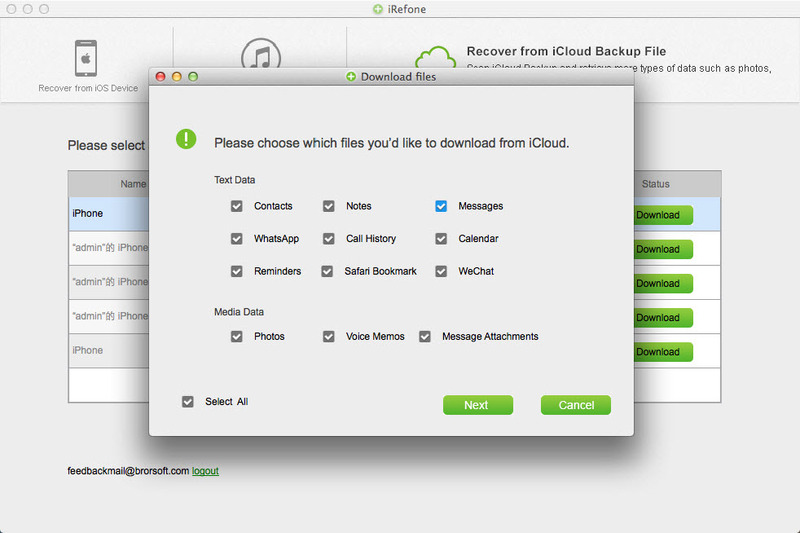 When the iRefone application launches and displays the main window, select "Recover from iTunes Backup File". Then you can see a list of all your iTunes backup files on the computer. Choose the one you want to extract and click on the "Select" button to begin. Step 2. 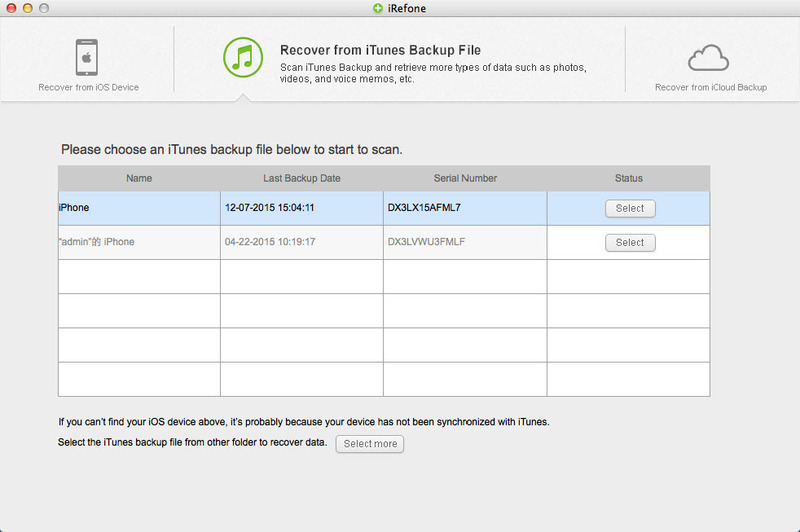 Scan data from selected iTunes backup. Click on Contact, Messages, etc item to start scanning process. It will take you a few seconds. Step 3. When you access the lost data you choose, just click "Recover to Mac" button on the bottom-right to save them on your computer. 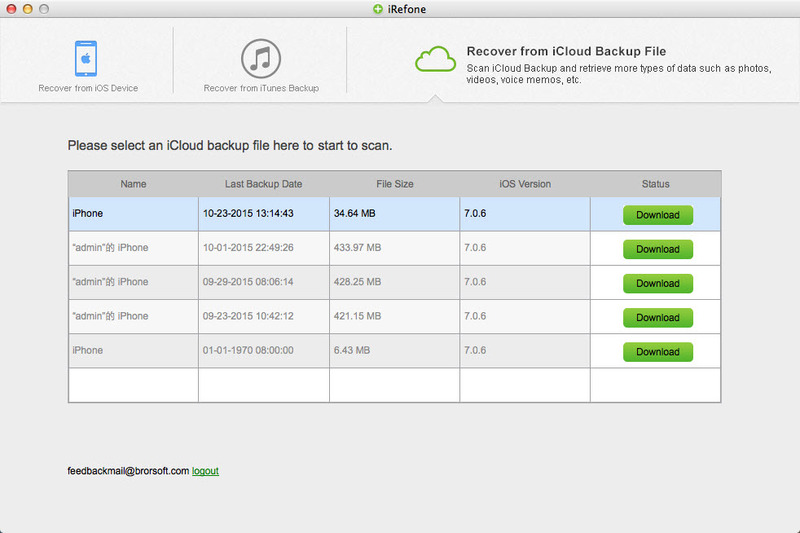 Choose "Recover from iCloud Backup File" from the top menu. Then you'll see the window as follows. 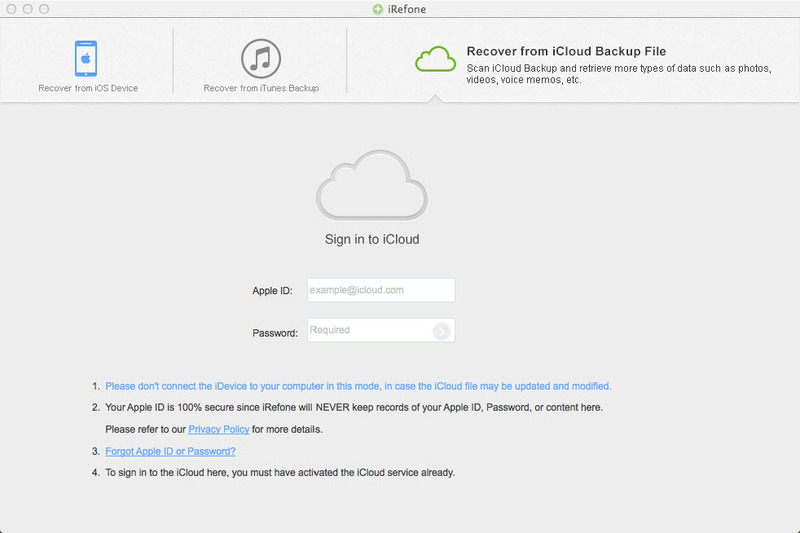 You need to enter your iCloud account and the password to log in, so that you can download the backup file. You can selectively choose the type of files you would like to download. Click on the "Next" button to begin. It will take you some time. Just wait for a moment. Once it stops, you can preview all found data and click the icon of the data you need in your iCloud backup file, like contacts, messages and more. Check them one by one and tick the item you want. Then click on the "Recover to Mac" to save them on your computer with one click.